8 August 2017, at 12:01a.m. ANALYSIS - Dehydration is an ongoing challenge for hatcheries that are shipping day-old chicks. Hubbard Breeders, a worldwide leader in broiler breeding stock headquartered in Pikeville, Tenn., has developed a new standard procedure of providing hydration supplementation to chicks to ensure strong livability performance upon arrival. Hubbard Breeders has two types of chick deliveries. First, there are local breeder deliveries that average only 1.5 hours or less to the farm, so hydration supplementation is typically not needed. However, if the chicks appear dehydrated, or delivery is delayed a day, hydration supplements are provided. The second type of delivery scenario is that of long-distance transits that include international airline flights and extended delivery truck travel times from 40 hours to up to 72 hours. It's during these long deliveries that it’s highly likely the chicks can become dehydrated, even with their existing yolk sac which they continue to draw from for their own immunity and energy. The grandparent and parent stock chicks are hatched in Tennessee, delivered to airports in Miami, Chicago, Memphis or New York, and flown to Europe, Asia or South America. Keeping these valuable chicks hydrated properly requires consideration to application timing. HydroGel 95 is a ready-to-use, room temperature shelf-stable, and non-wetting gel product that is cut into cubes and added to the chick box. 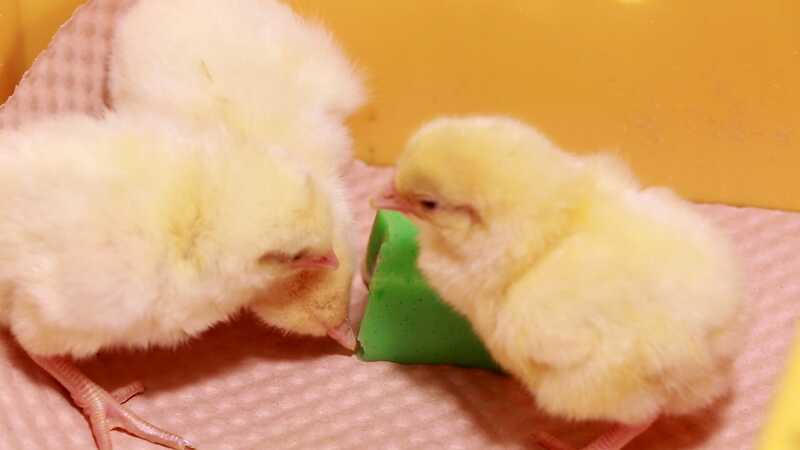 When applied in a timely manner, it improves chick viability and reduces stress so that upon delivery, they are in better condition to start on feed and water right away. Animal welfare is always a top priority for the Hubbard team. Environmental conditions are monitored, and every attempt is made to minimize chick stress from hatching throughout the delivery process. Because Hubbard exports chicks across the world, hydration supplementation timing is critical to get the chicks ready for their trip. Application timing depends on the different destination scenarios that arise starting at the hatchery, and HydroGel’s stable product format allows the Hubbard team the flexibility to use it whenever it’s needed. Some international export orders of chicks are fed HydroGel 95 before the boxes are loaded on the plane. For domestic orders shipping more than 12 hours away, the transport truck will drive halfway, stop and re-apply HydroGel 95, then drive the rest of the trip. This gives the chicks enough time to eat the hydration supplement before they arrive at the farm. When leaving the hatchery, Killgore says experience has taught them to place the HydroGel 95 in each corner of the box for best results. Hubbard uses one cube of HydroGel 95 per 18 to 25 chicks. Typically, the Hubbard team waits four to six hours after processing before applying Hydrogel 95. Placement during delivery is often less precise given that the boxes are stacked vertically on the truck. 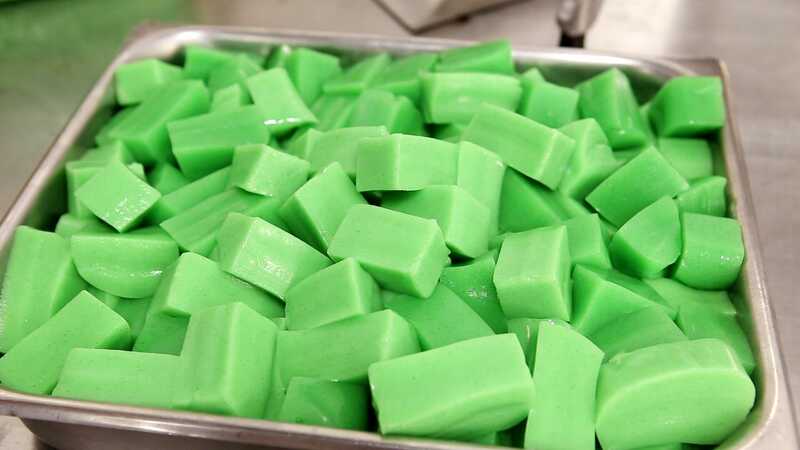 After 24 hours on the truck, Hubbard requires their drivers to down-stack the chick boxes, open them up and re-apply additional HydroGel 95 cubes to each section. Ideally, a stop point where you can set out the chick boxes in an environmentally temperature and humidity controlled room with adequate lighting for all the boxes is most desirable. Then, place the HydroGel 95 in a four-corner arrangement, but that’s just not always available, said Killgore. It’s important to have a transportation department that is on-board with your procedures, said Haston. For example, if you feed the chicks in the back of the truck but don't leave the lights on, the chicks won't eat. Chicks are light sensitive, so when it’s dark, the chicks lay down and sleep. However, if the lights are on for about two hours, the chicks will stay active and eat it.